Shinsuke Irie (irie) created T59536: Wrong Camera Safe Areas: The default values of Title Safe Margins and Action Safe Margins replace each other. Shinsuke Irie (irie) created T58519: Cycle render crashes when using multiview. Shinsuke Irie (irie) created T58517: Multiview not working with OpenGL render using scene settings. Shinsuke Irie (irie) updated the diff for D3058: X input method: Add support for 'over-the-spot' input style. Wo!262 (wo262) awarded D2493: Compositor: Add Distance Transform Node a Love token. Shinsuke Irie (irie) updated the diff for D2493: Compositor: Add Distance Transform Node. Shinsuke Irie (irie) updated the diff for D2411: Compositor: Add Anti-Aliasing node. Rebased on the latest master. Shinsuke Irie (irie) added a comment to T57580: Windows installer shows incorrect EULA. The major part of the "source code" is under GPL2+, but Cycles is Apache2.0 that's incompatible with GPL2. Consequently, the Blender "binary" built with Cycles becomes GPL3+ automatically. COPYING file is not included in the binary distribution. Shinsuke Irie (irie) added a reviewer for D3058: X input method: Add support for 'over-the-spot' input style: Julian Eisel (Severin). Shinsuke Irie (irie) created T57580: Windows installer shows incorrect EULA. Shinsuke Irie (irie) updated the task description for T56875: Compositor: Auto Render doesn't work. Shinsuke Irie (irie) created T56875: Compositor: Auto Render doesn't work. Shinsuke Irie (irie) updated the task description for T56861: Blender Internal: Freestyle lines become unintentionally translucent when using full sample AA. Shinsuke Irie (irie) assigned T56861: Blender Internal: Freestyle lines become unintentionally translucent when using full sample AA to Tamito Kajiyama (kjym3). Shinsuke Irie (irie) created T56861: Blender Internal: Freestyle lines become unintentionally translucent when using full sample AA. Shinsuke Irie (irie) added a project to D3058: X input method: Add support for 'over-the-spot' input style: BF Blender: 2.8. Shinsuke Irie (irie) created D3058: X input method: Add support for 'over-the-spot' input style. Shinsuke Irie (irie) added a member for BF Blender: 2.8: Shinsuke Irie (irie). Konstantin (Ko) awarded D2493: Compositor: Add Distance Transform Node a Love token. Shinsuke Irie (irie) updated the diff for D1570: X input method: Add support for over-the-spot style input. Shinsuke Irie (irie) added a comment to D1570: X input method: Add support for over-the-spot style input. Hey reviewers, please don't leave it untended for a long time. Christian Brinkmann (poor) awarded D2493: Compositor: Add Distance Transform Node a Love token. Shinsuke Irie (irie) updated D2493: Compositor: Add Distance Transform Node. Shinsuke Irie (irie) retitled D2493: Compositor: Add Distance Transform Node from to Compositor: Add Distance Transform Node. Shinsuke Irie (irie) committed rBf14e1da5aae4: Fix (unreported) crash when file browser attempts to show preview of some… (authored by Shinsuke Irie (irie)). @Sergey Sharybin (sergey) Sergey, can you check on this again? You are now the main reviewer. Shinsuke Irie (irie) added a comment to D2411: Compositor: Add Anti-Aliasing node. @Michael P. (forest-house) You forgot to set parameters of the Dilate/Erode Node. Setting the Distance -1 removes the artifact. Add brief comments, no functional change. Also rebase on latest master. Also update the test build for Windows 64bit. Here is a test build for Windows 64bit. Shinsuke Irie (irie) added inline comments to D2411: Compositor: Add Anti-Aliasing node. Shinsuke Irie (irie) updated D2411: Compositor: Add Anti-Aliasing node. Shinsuke Irie (irie) retitled D2411: Compositor: Add Anti-Aliasing node from to Compositor: Add Anti-Aliasing node. Update after personal communication with @Campbell Barton (campbellbarton). Shinsuke Irie (irie) added a reviewer for D1570: X input method: Add support for over-the-spot style input: Julian Eisel (Severin). Shinsuke Irie (irie) commandeered D1570: X input method: Add support for over-the-spot style input. Shinsuke Irie (irie) retitled D1570: X input method: Add support for over-the-spot style input from to X input method: Add support for over-the-spot style input. linus (tuxmaniac) awarded T40179: Can not input Chinese/Korean/Japanese in a game exported. East Asian user needs it. a Like token. 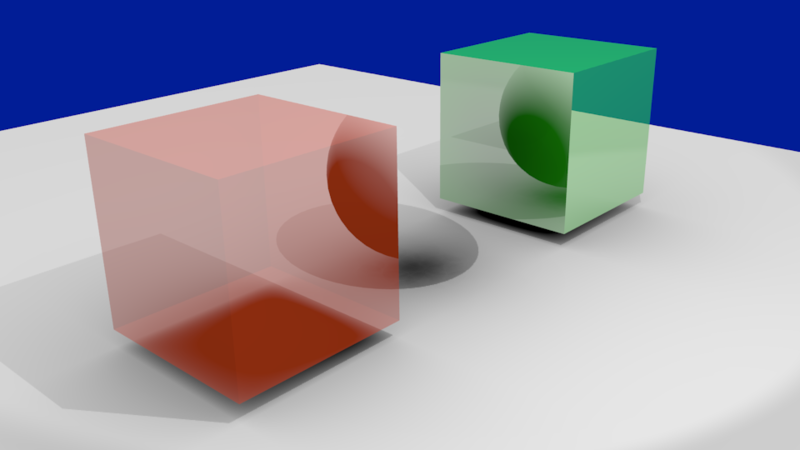 Shinsuke Irie (irie) added a comment to T40300: objects from inappropriate render layers appear behind translucent objects..
Ray mirror, AO, and ray/buffer shadows have the same problem. Shinsuke Irie (irie) edited this Maniphest Task. Shinsuke Irie (irie) updated subscribers of T40078: GLSL Lamp with OnlyShadow makes weird colors in object..
BTW, I noticed the only shadow lamp seems to be not working correctly in Blender Render. If "Only Shadow" is enabled, disabling "Specular" option takes no effect. Shinsuke Irie (irie) closed T40425: Viewport Ambient Lighting Setup broken in 2.71 as Resolved. Shinsuke Irie (irie) renamed T40078: GLSL Lamp with OnlyShadow makes weird colors in object. from Lamp with OnlyShadow makes weird colors in object. to GLSL Lamp with OnlyShadow makes weird colors in object..
Shinsuke Irie (irie) closed T40078: GLSL Lamp with OnlyShadow makes weird colors in object. as Resolved. Shinsuke Irie (irie) claimed T40179: Can not input Chinese/Korean/Japanese in a game exported. East Asian user needs it.. Indeed I didn't consider BGE when I added support for X input method. Shinsuke Irie (irie) added a comment to T39981: BI: Transparent shadows fail under certain circumstances. This is caused by "if(shi->nodes==0 &&" in rayshade.c L.544, which has been added in order to prevent infinite recursion. Removing it resolves the issue though I'm not sure if it's still needed. Shinsuke Irie (irie) added a comment to T39941: Freestyle: Rendered preview crashes when non-primary render layer is selected and disabled.. The behavior change is intentional. I'd like to fix the existing behavior that's confusing and a bit buggy. Currently, if active layer is disabled, the rendered viewport shows all layers for actlay=0, and shows primary layer (or isn't updated) for actlay>0. Shinsuke Irie (irie) updated subscribers of T39941: Freestyle: Rendered preview crashes when non-primary render layer is selected and disabled..
Ah, got it. Thanks for the investigation. Thanks for the fix, the crash doesn't occur anymore. Shinsuke Irie (irie) added a project to T39941: Freestyle: Rendered preview crashes when non-primary render layer is selected and disabled. : Freestyle. Shinsuke Irie (irie) assigned T39941: Freestyle: Rendered preview crashes when non-primary render layer is selected and disabled. to Tamito Kajiyama (kjym3). Shinsuke Irie (irie) added a comment to T39502: Blender + Linux Ati crashes(segmentation fault) upon clicking on the viewport.. Probably this already has been fixed by updating the OSL library package in Mar 26. Now it uses the LLVM static library to avoid symbol conflicts with the graphics driver. Shinsuke Irie (irie) added a comment to T38247: Blender from Irie ppa crashes after first click on the 3D view. I believe the issue has been resolved by latest update of OSL package, which now uses LLVM as static library. Shinsuke Irie (irie) added a comment to T38318: Eye icon for viewport visibility does not work in rendered mode for internal.. Committed d81f492d08e6 to bring back the previous behavior that rendered viewport always uses render visibility, because 162d6c73e3d0 caused some problems. For example, mesh deform cage is drawn as a solid/textured mesh (not a wireframe mesh) and its unnecessary surfaces and shadows mess up the preview. Shinsuke Irie (irie) added a comment to T38726: Blender Internal: Rendered viewport won't be updated and will crash if active render layer is changed/deleted..
Shinsuke Irie (irie) reopened T38726: Blender Internal: Rendered viewport won't be updated and will crash if active render layer is changed/deleted. as "Open". I made a patch D346. So far it works fine for me though it's only workaround. Um, the crash seems to be fixed but another problem happens. Thanks, but rB277126881d69 fixed only the case 1. The crash (case 2) still happens, unfortunately. Shinsuke Irie (irie) assigned T38726: Blender Internal: Rendered viewport won't be updated and will crash if active render layer is changed/deleted. to Brecht Van Lommel (brecht). Shinsuke Irie (irie) added a comment to T37604: Deadlock happens when stopping rendered viewport (Blender Internal). Ah OK, the remaining dead-lock is quite rare, so we can archive this. Shinsuke Irie (irie) added a comment to T35176: Fix for Python failure with .blend files loaded from paths including non-ASCII characters. Any update on this? Many users want the problem to be resolved. Shinsuke Irie (irie) assigned T37008: Icon for LineStyle to Tamito Kajiyama (kjym3). Shinsuke Irie (irie) added a comment to T37198: Vorbis encoding is broken. Tested with FFmpeg 2.0.2 and 2.1.3. Totem, MPlayer, and VLC could correctly play movie files that the Vorbis encoder was used. My PPA build provides a debug symbol package "blender-dbg". The symbols are contained in /usr/lib/debug/usr/lib/blender/blender. nm command should be able to collect symbols from that file. On Ubuntu 13.04, the Gallium graphics driver uses LLVM 3.3, while Blender and OSL in my PPA use LLVM 3.2 shared library. I guess the different versions of LLVM shared libraries cause the problem. Shinsuke Irie (irie) added a comment to T37288: Blender just crashes when running on my linux system. Thanks, I'm now testing Py_BEGIN_ALLOW_THREADS + Py_END_ALLOW_THREADS, but there is another case not related to the Python global interpreter lock and the deadlock still happens. BLI_ticket_mutex_lock() in sub thread also causes the deadlock. Shinsuke Irie (irie) raised the priority of T37604: Deadlock happens when stopping rendered viewport (Blender Internal) from to Needs Triage by Developer. Shinsuke Irie (irie) closed T36936: Crash when starting BI rendered view as Resolved. Shinsuke Irie (irie) claimed T36936: Crash when starting BI rendered view. Shinsuke Irie (irie) added a comment to T36936: Crash when starting BI rendered view. I confirmed GLSL view is not essential. Switching the viewport from "Solid" to "Rendered" also can cause the crash.